This year’s LCS program keynote speaker was Trish Patterson, community outreach director for Holston Habitat for Humanity. She also was a 2006 LCS honoree. 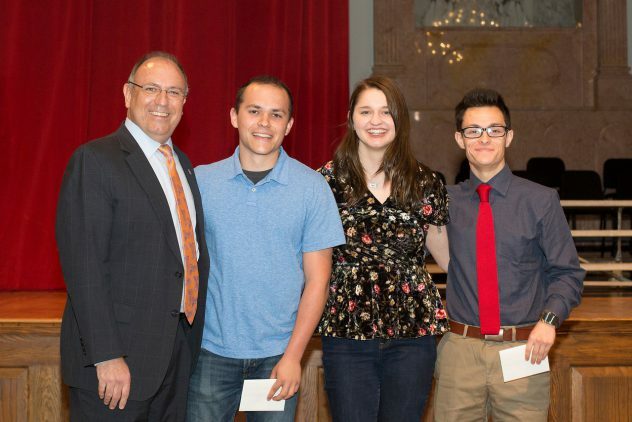 The students honored for service at Milligan's Leaders in Christian Service program include seniors Matthew Albritton, Johnson City; Emily Mark, Damascus, Maryland; and Jonathan Russell, Kingsport, Tennessee. 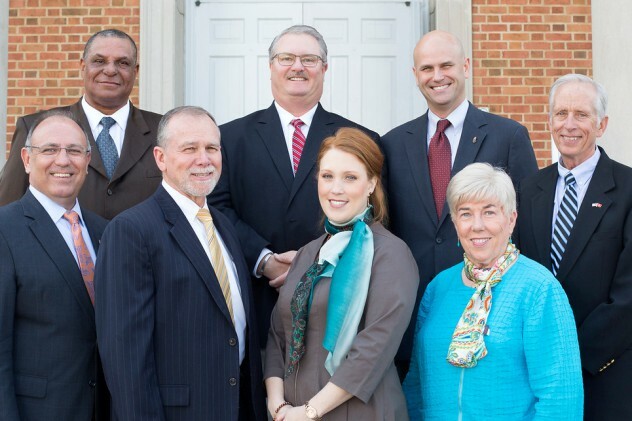 MILLIGAN COLLEGE, Tenn. (April 3, 2018) — Milligan College recognized seven local leaders who have demonstrated servant leadership in their careers and community at the college’s annual Leaders in Christian Service program today in Milligan’s Mary B. Martin Auditorium located in Seeger Chapel. In addition, the college honored three students during the ceremony for their service in the local community. Milligan also made a monetary donation to the service organizations on the students’ behalf. This year’s keynote speaker was Trish Patterson, community outreach director for Holston Habitat for Humanity. She also was a 2006 LCS honoree. Patterson grew up in Johnson City and earned both bachelor’s and juris doctor degrees from the University of Tennessee. 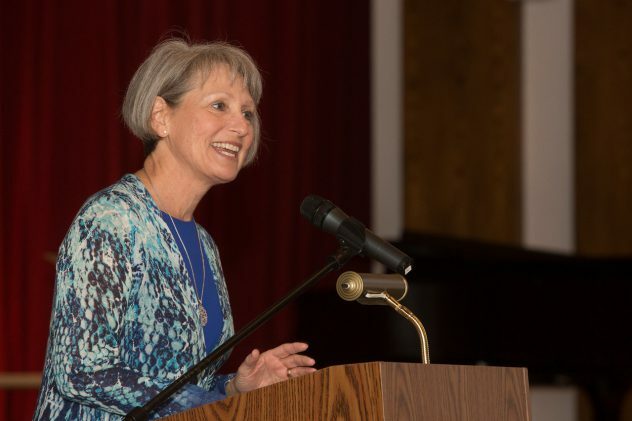 After returning to the Tri-Cities with her three children and husband, Michael Scalf, she reconnected with the community through church, work, children’s activities, and community service. Patterson has spent her career in higher education and non-profit management, volunteering on the Board of Directors for both Neighborhood Reconciliation Services and Appalachian Community Federal Credit Union. She volunteers as a Tennessee Promise mentor and teaches Sunday school at Munsey Memorial United Methodist Church in Johnson City. Matthew Albritton, Johnson City, works with the Ministry for Widows at First Christian Church in Johnson City. He is a senior business administration major. Emily Mark, Damascus, Maryland, works with Families Free. She is a senior business administration and social work major. Jonathan Russell, Kingsport, works with LXI. He is a senior business administration and economics major. For more information, contact Milligan’s Institute for Servant Leadership at 423.461.8316. Posted by Stephen Woodward on April 3, 2018.